Neetu Kapoor’s New Year Post Hint at Rishi Kapoor Suffering From Cancer? Is Neetu Kapoor's latest Instagram post hinting at Rishi Kapoor's illness. Veteran actor Rishi Kapoor has been in New York since September for some medical treatment. He made the announcement without revealing details and even requested fans not to speculate unnecessarily. He was even absent from the funeral of his mother Krishna Raj Kapoor. Thus, speculations started doing the rounds that Rishi is suffering from cancer. However, his brother Randhir Kapoor rubbished reports staying that he is yet to undergo the tests. 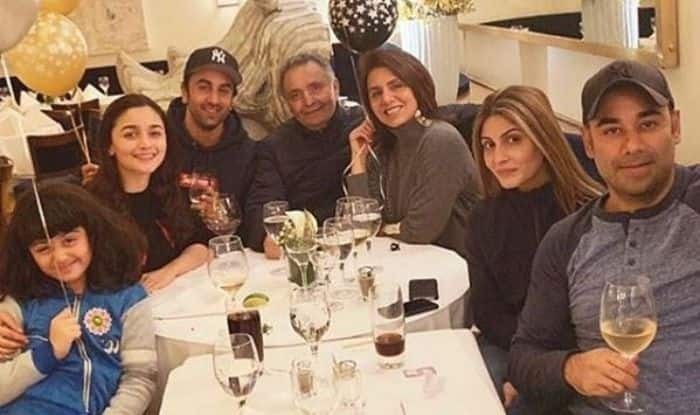 Lately, Neetu Kapoor shared some pictures from their New Year’s celebration and her caption hinted at the nature of his illness. The actor was last seen in Mulk and Rajma Chawal. On a related note, Alia celebrated New Year with the Kapoor family. She and Ranbir are dating for quite some time. They are often seen spending quality time with each other. It was being said that both the stars are even planning to take their relationship to next level. However, the actress has denied reports. They will be seen together in Brahmastra. It is directed by Ayan Mukerji and will hit the screens on December 20, 2019.